By his own description, Louis Ware’s career was a planned one which, “with tenacity, the help of other competent people, a good health record and, of course, a goodly portion of luck, worked out as planned.” Following receipt of a Bachelor of Mining Engineering degree from the University of Kentucky College of Mining Engineering in 1917, Mr. Ware headed for the mines to become miner and underground boss for Old Dominion Copper Company in Globe, Arizona. His plan included getting experience in all types of mining, and he did just that. He was employed by various mining firms in Arizona gaining experience in fissure vein mining, caving of large porphyry copper ores and open cut shovel mining. While serving as General Mine Superintendent for Anglo-Chilean Nitrate Corporation in Chile, South America, Mr. Ware became acquainted with directors, bank officials and financial people who visited there. Upon returning to the States, he did some consulting work and testified as an expert in matters involving both caving mining and open cut mining before venturing out into the financial world. He took a post in the Industrial Department of The New York Trust Company, which also afforded him the opportunity to study banking and finance at New York University. He spent the next few years bailing companies out of difficult financial situations, including the United Electric Coal Companies, for whom he became president. Mr. Ware decided in 1939 that he had finished his job in the coal industry and would rather be in another field of mining. Thus came the presidency of International Agricultural Corporation, later known as International Minerals and Chemicals Corporation (IMC). He reorganized the company and increased sales from $10 million annually to $180 million annually with the application of flotation to pebble phosphate rock. The corporation acquired a number of fertilizer mixing plants which prompted a move of the corporate headquarters to Skokie , Illinois , the center of the large Midwest potash and fertilizer consuming market. Over the years, numerous other companies were acquired and the corporation expanded in the agricultural chemical field to become one of the largest producers of agricultural minerals and chemicals and the nation’s largest producer of 14 commodities including phosphate, potash, and monosodium glutamate. At the time of his retirement, he was Chairman of the Board at IMC. Mr. Ware held memberships in numerous professional organizations and served on several boards of directors. 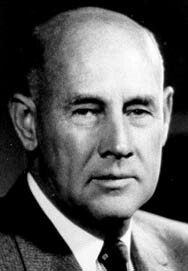 He was awarded an Honorary Doctor of Science Degree from the University of Kentucky (1952), established the Ware Honor Loan Fund at UK to assist engineering students, received the AIME Hal Williams Hardinge Award (1964) and the University of Kentucky Distinguished Alumni Centennial Award (1965). Mr. Ware was inducted into the College of Engineering Hall of Distinction in 1993.